FSMIS (May 27, 2015): This list of candidates for the special Congressional Election slated for July 1st is shown hereunder. The States will elect their At-large representatives in the Congress of the Federated States of Micronesia as vacancies were created after the election of the new FSM President and Vice President on May 11, 2015. 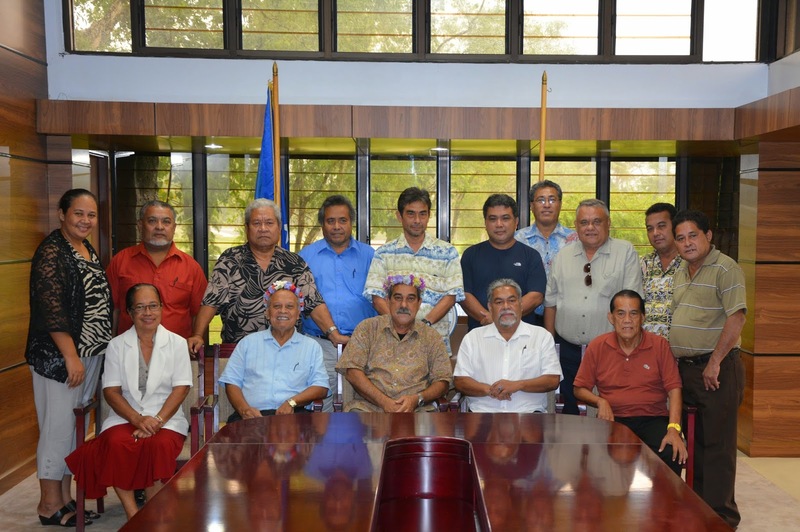 FSMIS (May 27, 2015): Federated States of Micronesia President Peter M. Christian has transmitted two more Cabinet member nominations for consideration of Congress this on-going regular session. Mr. Joses Gallen, currently an Assistant Attorney at the Department of Justice, has been nominated to take up the helm of the department. “Mr. Gallen’s many years of public service starting in 1980 include challenging professional assignments as Prosecutor for then Pohnpei District, Staff Attorney for Pohnpei Legislature, Chief for the International Law Division of the FSM Attorney General’s Office, FSM Deputy Chief of Mission in New York, Acting Legislative Counsel for the FSM Congress, and Staff attorney for the FSM Public Defender’s Office in Kosrae”, the President indicates in his communication to Congress. Mr. Lukner Weilbacher has had been the Secretary of the Department of Transportation, Communication and Infrastructure from 1995 to 1999. President Christian indicates his confidence in the nominee given his “profound understanding in sea, air, and marine transportation systems, telecommunications, capital improvement projects… and his ability to ensure projects are executed from inception to completion, in accordance with all contractual, budget, and legal conditions”. According to the nomination documents, Mr. Weilbacher is currently a self-employed engineering consultant in Pohnpei State, providing consulting services in areas relating to transportation, communications, power generation and distribution systems, standby power generation systems, and standby generator and HVAC maintenance.